Draft: 2002, San Francisco Giants, 21st rd. Married (Rochelle)...has three children; sons Isaiah (June 14, 2001) and Jordan (Sept. 29, 2010) and daughter Faith Annabel (Sept. 24, 2008)...Is a 2002 graduate of Federal Way (WA) High School, where he led the team to the Washington State 4A baseball title in 2001 and a runner-up spot in 2002...His father, Alan, is third-generation Japanese...His great grandfather emigrated from Japan to California to work on the railroads. Ishikawa returned to San Francisco (was with the Giants' organization from 2002-2011) inking a minor league contract in April after having spent parts of the last three seasons with the Brewers, Orioles, Yankees and Pirates...Was on the Pirates' Opening Day roster and appeared in 15 games, batting .206, before being designated for assignment April 19...Signed a minor league contract with the Giants on April 25 and spent most of the season with triple-A Fresno, batting .271 (65-for-240) with 34 runs scored, nine doubles, 11 home runs and 45 RBI in 71 games...Had his contract purchased from triple-A Fresno on July 29 and appeared in 47 games with SF, batting .274 (20x73) with 18 RBI...Hit .229 (11x48) with nine RBI in 14 starts for the Giants (11 at 1st, three in left)...went 7-for-21 (.333) with six RBI as a pinch-hitter. Spent time with three different organizations...Began season with Norfolk (Orioles' AAA) after attending spring training as a non-roster invitee with Baltimore...Hit .337 (28-for-83) with runners on base and .371 (23-for-62) with runners in scoring position as a member of the Tides...Also hit all seven of his homers as a member of the Tides vs. RHP...Hit .213 (16-for-75) with four RBI in 21 games in April before bouncing back to hit .413 (31-for-75) with seven home runs and 24 RBI in May while earning Orioles minor league Player-of-the-Month honors...Homered twice on 5/6 at Buffalo for his first two home runs of the season...Recorded three straight three-RBI games from 5/5-7...Collected an RBI in six straight games and in eight-of-nine from 5/11-19 (11 RBI total)...Went 15-for-36 (.417) during a nine-game hitting streak from 5/12-21...Had contract selected by Baltimore on 6/18 and made his Orioles debut that night (went 0-for-4 as the designated hitter)...Made four appearances (three starts) at first base with Baltimore...Was designated for assignment on 6/29 and claimed off waivers by New York (AL) on 7/7...Went 0-for-2 in his only game with the Yankees on 7/8 before being designated for assignment on 7/11...Was outrighted off the roster on 7/13 and granted free agency before signing a minor league contract with Chicago (AL) on 7/19...Finished season with Triple-A Charlotte, where he made 22 appearances in right field, seven at first base and two in left field; also went 4-for-13 with four RBI in four games as the designated hitter...Hit safely in 11 of his last 14 games with the Knights. Spent the season with Triple-A Fresno, batting .251 with a .751 OPS in 56 games...Hit .324/.479/.527 in 27 games inthe month of May...Hit a grand slam, April 24 vs. Reno...Underwent season ending shoulder surgery in the summer and did notplay again after June 12. Batted .266 (42-for-158) with 11 2Bs, 3 HRs and 22 RBI in 116 games ... With addition of Aubrey Huff, Ishikawa primarily pinch-hit and was defensive replacement at 1st base late in games ... Was one of SF's most valuable pinch-hitters, batting .319 (15-for-47), which ranked as 7th-highest clip as pinch-hitter in NL ... Started just 2 of San Francisco's 1st 78 games of season, but saw increased playing time, starting 23 of SF's next 39 games (all at 1st base) from beginning of July to mid-August...more playing time coincided with trade of C Bengie Molina, which allowed Buster Posey to move from 1st base into full-time catching role...however, did not start SF's final 44 games (last start came Aug. 14)...batted .269 (25-for-93) with 2 HRs and 14 RBI in his 25 starting assignments...overall, appeared in 116 of SF's 162 games ... Was much better hitter on road, batting .326 (28-for-86) in 57 games compared to .194 (14-for-72) clip at AT&T Park...oddly enough, last season, hit just .162 (25-for-154) on road while batting .349 (60-for-172) on Shores of McCovey Cove ... Combined for .375 batting avg. (9-for-24) in May and June, however, hit just .254 (31-for-122) from July-end of season...ended year in 3-for-23 (.130) skid ... Hit his 1st career grand slam off Colorado's Ubaldo Jimenez in Giants' 7-run 3rd inning on July 3 at Coors Field...marked Giants 1st Grand Slam of season. POSTSEASON HIGHLIGHTS:Appeared in 10 games during postseason making one start, while batting .200 (2-for-10) with 2B and RBI ... Had RBI-2B in Game 1 of World Series...made his only start in Game 4 of World Series at 1st base, going 0-for-3. Batted .261 (85-for-326) with 10 2Bs, 2 3Bs, 9 HRs, and 39 RBI in his 1st full season at major league level...among NL rookie leaders ranked 8th in runs (49), 9th in avg., hits, and RBI, tied for 9th in HRs, and 10th in total bases (126)...was named to Topps Major League Rookie All-Star Team...made Opening Day roster for 1st time in his career...started 88 games at 1st base and committed just 3 errors in 803 total chances (.996) for 3rd-highest fielding pct. among NL 1st baseman...only Atlanta's Adam LaRoche (.999) and Colorado's Todd Helton (.998) had better marks...was much better hitter at home than on road, hitting 187 points higher at AT&T Park (.349, 60-for-172) than away from it (.162, 25-for-154)...in fact, his .349 home clip ranked as 5th-highest mark among all NL players with minimum of 100 home plate appearances...7 of his 9 HRs and 28 of his 39 RBI came on Shores of McCovey Cove...his .162 road avg. was lowest among all Giants players with 100+ plate appearances...hit NL East opponents at .370 (27-for-73) with HR and 7 RBI...was 7-for-13 (.538) against Washington and hit .500 (12-for-24) against Atlanta...also batted .440 (11-for-25) against Los Angeles-NL...batted .340 (16-for-47) with 3 HRs and 10 RBI on 1st pitch, 4th-highest avg. on club (min. 45 PA's), behind Aaron Rowand (.365), Pablo Sandoval (.357) and Edgar Renteria (.348)...started Giants' opener at 1st base April 7 vs. Milwaukee, becoming 1st Giants rookie to start at 1st on OD since J.R. Phillips in 1995...also became youngest starting 1st baseman (25 years, 195 days) in an opener since Will Clark (25 years, 21 days) in 1989 (Sports Features Group)...had successful Opening Day, hitting 3-run 3B in 1st inning and finishing2-for-5...according to Elias, became 4th player over past 20 seasons to hit "grand-slam triple" in season opener...others were Barry Larkin (Cincinnati, 1990), Mike Greenwell (Boston, 1993) and Mark Bellhorn (Chicago-NL, 2003)...hit safely in 9 of his 1st 17 games at .250 (13-for-52), however went into 0-for-17 hitless drought from May 2-10, lowering season avg. to .188...snapped stretch with 3 hits May 11 vs. Washington...posted career-high 4 hits May 25 vs. Atlanta, hitting 3-run HR off Buddy Carlyle...that HR was 1st by Giants 1st baseman, ending stretch in which SF was last team in majors to have player record clout from 1st base position...also scored 3 runs in contest...after having no HRs in his 1st 33 games, hit 7 of his 9 clouts on season in 27-game stretch from May 25-July 9...those 7 HRs were 2nd-most on Giants during that span, behind Pablo Sandoval (10)...hit 3 HRs in 4-game span June 17-22...recorded his hottest stretch of season in 29-game stint from May 25-July 11, hitting safely in 22 of those games and batting .326 (31-for-95) with 7 HRs and 17 RBI...included in that span was season-high 10-game hitting streak from July 2-11 (.351, 13-for-37)...went 2-for-5 with 3-run HR July 3 vs. Houston off Felipe Paulino...homer was originally ruled ground-rule 2B, but was overturned as umpire crew used home run replay system...was part of Giants' 1st back-to-back home runs of 2009, teaming with Juan Uribe July 9 vs. San Diego...finished game 3-for-4...hit go-ahead 3-run HR Aug. 25 off Arizona's Jon Rauch, snapping 2-2 tie in eventual 5-4 Giants win...had career-best 3-walk performance Sept. 21. Appeared in 33 games for Giants, batting .274 (26-for-95) with 12 runs, 6 2Bs,3 HRs and 15 RBI in 1st Major League appearance since 2006...was with big league club for 2different stints, being recalled from triple-A Fresno Aug. 13 and then earning Sept. call-up...started 26 games (all at 1B) and hit safely in 16 of those assignments...belted 1st ML HR Aug. 17in Atlanta, 2 run shot off RHP Charlie Morton...produced career-high 3-hit efforts Sept. 12 and14 against Padres at PETCO Park...prior to his 2 stints with Giants, split season between double-A Connecticut and triple-A Fresno, combining to hit .299 (121-for-405) with 69 runs, 35 2Bs, 33Bs, 24 HRs, 94 RBI and .578 slugging pct. in 112 contests...began year with Connecticut, batting.289 with 16 2Bs, 8 HRs and 45 RBI in 64 games...was promoted to Fresno June 20 and in 48games batted .310 with 19 2Bs, 3 3Bs, 16 HRs and 46 RBI...among Giants organizational leadersranked 4th in avg., 2nd in HRs and 3rd in RBI...was named Giants Player of Month for both Mayand June...named Eastern League Player of Week for June 2-8 after going 10-for-22 (.455) with 3HRs and 9 RBI. Spent entire season in minors, splitting time between double-A Connecticutand single-A San Jose...scuffled early, hitting just .214 with 3 HRs and 17 RBI in 48 games withDefenders, before being moved to San Jose June 28...had impressive power numbers with SouthBay Giants, with 15 2Bs, 1 3B, 13 HRs and .551 slugging pct. in 56 games...batted .268 with SJ,with 34 RBI...helped club to California League championship, as he posted .241 mark (7-for-29)with 2 HRs and 5 RBI in 9 post season contests. Logged 1st year above single-A level, including trio of brief stints with Giants (April 17-20, May 25-30 and June 13-20)...spent minor league campaign with double-A Connecticut, batting .232 with 13 2Bs, 4 2Bs, 10 HRs and 42 RBI in 86 games...was recalled for 1st time April 17 when Lance Niekro was placed on Bereavement List, and made ML debut April 18 at Arizona...collected 1st big league hit April 19 in desert, single off Diamondbacks' Brandon Webb...made 1st ML start May 26 vs.Colorado and responded by going 3-for-4 with 2 2Bs and 3 RBI...went 7-for-24 (.292) with 3 2Bs and 4 RBI in 12 big league contests overall...played for Scottsdale Scorpions in Arizona Fall League. Helped single-A San Jose to California League championship, while clubbing career-best 22 HRs to finish 4th among Giants farmhands...hit .282 and established career standards for runs (87), 2Bs (28), 3Bs (7), HRs and RBI (79)...led Giants in HRs and slugging (.532)...appeared in 127 contests, highest total of his career...shared San Jose's June Player of Month honors with Kevin Frandsen...hit .217 (5-for-23) with 4 RBI in 6 Cal League playoff contests. Spent majority of campaign at single-A Hagerstown before late season promotion to San Jose...tied for Suns lead with 15 HRs, while tying for 3rd with 54 RBI...earned Hagerstown's July Player of Month honors...played final month of season at San Jose and appeared in 8 Cal League postseason outings. Opened campaign at Hagerstown before returning to rookie-level Salem- Keizer. Kicked off professional career with Arizona Rookie League Giants before earning promotion to Salem-Keizer...helped Volcanoes to Northwest League championship. November 7, 2016 1B Travis Ishikawa elected free agency. June 9, 2016 1B Travis Ishikawa assigned to Sacramento River Cats. June 7, 2016 San Francisco Giants signed free agent 1B Travis Ishikawa to a minor league contract. May 24, 2016 Charlotte Knights released 1B Travis Ishikawa. February 16, 2016 1B Travis Ishikawa assigned to Charlotte Knights. February 10, 2016 Chicago White Sox signed free agent 1B Travis Ishikawa to a minor league contract and invited him to spring training. October 22, 2015 1B Travis Ishikawa elected free agency. October 8, 2015 Pittsburgh Pirates activated 1B Travis Ishikawa. October 7, 2015 Pittsburgh Pirates reassigned 1B Travis Ishikawa to the minor leagues. September 7, 2015 Pittsburgh Pirates activated 1B Travis Ishikawa from the 15-day disabled list. September 5, 2015 Pittsburgh Pirates sent 1B Travis Ishikawa on a rehab assignment to Indianapolis Indians. July 6, 2015 Pittsburgh Pirates activated 1B Travis Ishikawa. July 5, 2015 Pittsburgh Pirates claimed 1B Travis Ishikawa off waivers from San Francisco Giants. July 3, 2015 San Francisco Giants designated 1B Travis Ishikawa for assignment. June 24, 2015 San Francisco Giants selected the contract of 1B Travis Ishikawa from Sacramento River Cats. June 2, 2015 Sacramento River Cats activated 1B Travis Ishikawa. May 31, 2015 San Francisco Giants sent 1B Travis Ishikawa outright to Sacramento River Cats. May 25, 2015 San Francisco Giants designated Travis Ishikawa for assignment. May 8, 2015 San Francisco Giants sent 1B Travis Ishikawa on a rehab assignment to Sacramento River Cats. May 4, 2015 San Francisco Giants sent 1B Travis Ishikawa on a rehab assignment to San Jose Giants. April 11, 2015 San Francisco Giants sent 1B Travis Ishikawa on a rehab assignment to Sacramento River Cats. April 5, 2015 San Francisco Giants placed 1B Travis Ishikawa on the 15-day disabled list retroactive to March 30, 2015. Low back strain. July 29, 2014 San Francisco Giants selected the contract of 1B Travis Ishikawa from Fresno Grizzlies. July 29, 2014 San Francisco Giants activated 1B Travis Ishikawa. May 15, 2014 Fresno Grizzlies activated 1B Travis Ishikawa from the 7-day disabled list. May 3, 2014 Fresno Grizzlies placed 1B Travis Ishikawa on the 7-day disabled list. April 25, 2014 San Francisco Giants signed free agent 1B Travis Ishikawa to a minor league contract. April 25, 2014 1B Travis Ishikawa assigned to Fresno Grizzlies from San Francisco Giants. April 23, 2014 1B Travis Ishikawa elected free agency. April 22, 2014 Pittsburgh Pirates sent Travis Ishikawa outright to Indianapolis Indians. April 19, 2014 Pittsburgh Pirates designated 1B Travis Ishikawa for assignment. March 29, 2014 Pittsburgh Pirates selected the contract of 1B Travis Ishikawa from Indianapolis Indians. December 18, 2013 Pittsburgh Pirates signed free agent 1B Travis Ishikawa to a minor league contract and invited him to spring training. December 18, 2013 1B Travis Ishikawa assigned to Indianapolis Indians. November 4, 2013 RF Travis Ishikawa elected free agency. July 19, 2013 Chicago White Sox signed free agent 1B Travis Ishikawa to a minor league contract. July 19, 2013 RF Travis Ishikawa assigned to Charlotte Knights. July 13, 2013 1B Travis Ishikawa elected free agency. July 11, 2013 New York Yankees designated 1B Travis Ishikawa for assignment. 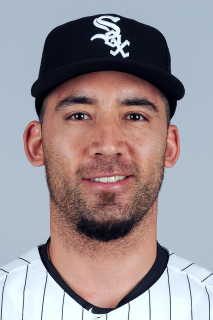 July 8, 2013 New York Yankees activated 1B Travis Ishikawa. July 7, 2013 New York Yankees claimed 1B Travis Ishikawa off waivers from Baltimore Orioles. June 29, 2013 Baltimore Orioles designated Travis Ishikawa for assignment. June 18, 2013 Baltimore Orioles selected the contract of 1B Travis Ishikawa from Norfolk Tides. December 29, 2012 Travis Ishikawa assigned to Norfolk Tides. December 19, 2012 Baltimore Orioles signed free agent 1B Travis Ishikawa to a minor league contract and invited him to spring training. November 3, 2012 1B Travis Ishikawa elected free agency. November 2, 2012 Milwaukee Brewers sent Travis Ishikawa outright to Nashville Sounds. June 23, 2012 Travis Ishikawa roster status changed by Milwaukee Brewers. June 16, 2012 sent 1B Travis Ishikawa on a rehab assignment to Nashville Sounds. May 28, 2012 Milwaukee Brewers placed 1B Travis Ishikawa on the 15-day disabled list retroactive to May 26, 2012. Left rib-cage strain. April 4, 2012 Milwaukee Brewers selected the contract of Travis Ishikawa from Nashville Sounds. December 12, 2011 Milwaukee Brewers signed free agent 1B Travis Ishikawa to a minor league contract and invited him to spring training. December 12, 2011 Travis Ishikawa assigned to Nashville Sounds. November 2, 2011 OF Travis Ishikawa elected free agency. September 21, 2011 Fresno Grizzlies activated OF Travis Ishikawa from the 7-day disabled list. April 10, 2011 Travis Ishikawa roster status changed by Fresno Grizzlies. April 6, 2011 San Francisco Giants sent 1B Travis Ishikawa outright to Fresno Grizzlies. March 31, 2011 San Francisco Giants designated Travis Ishikawa for assignment. June 12, 2009 San Francisco Giants activated 1B Travis Ishikawa from the bereavement list. June 9, 2009 San Francisco Giants placed 1B Travis Ishikawa on the bereavement list.